Timothy Bradley says he considered taking his own life because of abuse he received following his controversial points win over Manny Pacquiao in 2012. Bradley was awarded a split decision victory, despite most observers believing Pacquiao had won the contest. The rematch, for the WBO welterweight title, is in Las Vegas this weekend. "Did I consider suicide? Hell yeah," said Bradley. "I was thinking, 'I don't want to box anymore - I don't even want to live anymore'." The 30-year-old American, who is undefeated in 32 fights, received hate mail, death threats and abuse at petrol stations following his last meeting with Pacquiao. The rematch (at approx 04:00 BST on Sunday) will be at the same venue, the MGM Grand, and Bradley says he has overcome his demons with the help of his family. "I realised the important things in my life, realised who was important," said Bradley, who absorbed brutal punishment but emerged with a 12-round unanimous decision over Ruslan Provodnikov in his first defence of the title, then won a 12-round split decision over Juan Manuel Marquez. "It doesn't affect me. I know who I am. I'm a great fighter." 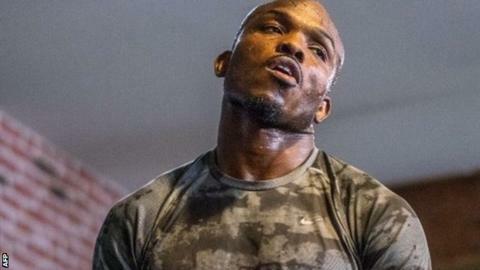 In the build-up to his second meeting with 35-year-old Pacquiao, Bradley has questioned his opponent's hunger. Pacquiao has been fighting as a professional since 1995 and has 55 wins and five losses from 62 fights but, despite a comfortable points victory over Brandon Rios last November, some believe the Filipino's best days are behind him. Prior to the Rios fight, he was knocked out by Marquez, the first time he had been stopped since 1999. "I think he may lack fire," Bradley said. "His motivation is not there. He's been at the top for a very long time. "He has over 60 fights in the ring with all the best. He's 36 years old. Maybe this is one fight too late for him." That view was dismissed by Pacquiao, who expects to extend an illustrious career in which he has won world titles in eight different weight divisions. "I have to prove that I still have the killer instinct and hunger, to him and to myself," said Pacquiao. The importance of inflicting a first defeat on Bradley is fully understood by Pacquiao's trainer Freddie Roach. "This is a must-win situation and if we don't win this fight we have to maybe consider retirement," said Roach. "Some people think we are all done and we have to prove that we are not. We've had a great run. I don't think that it's close to being over."